Monash University Vice-Chancellor and President, Professor Margaret Gardner AO said she is looking forward to working with Mr McKeon. His leadership and vision will be instrumental in continuing Monash’s outstanding success in an increasingly competitive and rapidly evolving sector and supporting its goals to enhance its students’ success, extend its research impact and expand its engagement internationally and with industry. 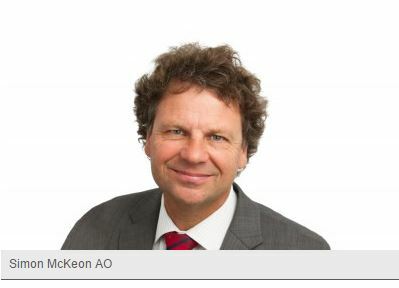 In 2012, Mr McKeon was appointed an Officer of the Order of Australia for distinguished service to business and commerce through his leadership and advisory roles, and to the community as a supporter of national and international charitable, educational and sporting organisations. Professor Gardner paid tribute to retiring Chancellor Dr Finkel for his extensive service to the University. Dr Finkel was the first Monash graduate to be appointed to the role and has been significantly involved in the development of philanthropy and capital developments at Monash. Mr McKeon takes up his new post in January 2016. In September The Scan published 67 posts, although we also extracted 39 submissions to the Senate inquiry into the government’s higher education reform legislation. Scan readers seem to be drawn to a whiff of controversy , with the suspension of a vice-chancellor and the suspension of a listed company’s trading (albeit temporarily) topping the most read list. The Senate submissions feature third, which is pretty good for that sort of subject. As usual, the travails of the TAFE sector in the era of skills reform features highly, particularly in Victoria, where it could be a prominent issue at the election due in November. 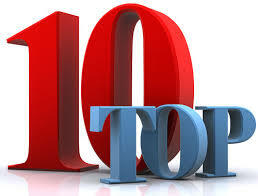 Top reads bottomed out with a reprise of a post from July. 19 September 2014 | Trading of shares in ASX-listed VET provider Vocation was temporarily suspended on 19 September at the request of the company, given ongoing speculation regarding its Victorian government funding contracts. Trading resumed on 22 September. Since listing in December 2013, Vocation has derived 80% of its revenues from subsidiary BAWM, most of which (90%) comes from Victorian government VET funding. However, that funding is being withheld, pending the outcome of an audit of courses provided by Vocation. It’s reported that the audit may relate to the practice of “channelling”, whereby a provider enrols students in courses other than what they originally intended to enrol in, in order to receive a greater level of government subsidy. A previous audit of BAWM, in December 2013, found evidence of channelling. …..[ READ MORE ]…. 25 September 2014 | The government’s higher education reform package – the Higher Education and Research Reform Amendment Bill 2014 – was referred on 3 September to the Senate Education and Employment Legislation Committee for consideration and report by 28 October. The committee has published the 139 submissions it received on its website. There is almost unanimous support for passage of the package, particularly fee deregulation, on the basis that the long run decline in public funding is damaging the sector. Several submissions express opposition or concern about the extension of public subsidies to private providers (ACU stridently so). 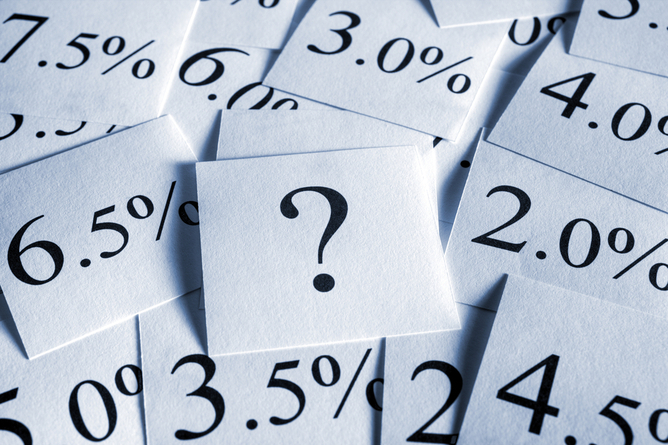 There is a united view that the package needs to be amended, particularly to at least ameliorate the burden of debt on future generations of students, that would follow from the combination of substantial fee increases and the imposition of a real interest rate on student loans (although no unanimity on how that might be achieved). Deakin University says the proposed changes to the HECS repayment scheme are unfair and rejects any compromise on this issue. The Regional Universities Network and the Group of Eight have formed a unity ticket on additional support for regional universities and their students. Stephen Parker (vice-chancellor, University of Canberra) and the National Tertiary Education Union make strange bedfellows in urging rejection of the package in its entirety…..[ READ MORE ]…..
4 September 2014 | Policy neglect and funding cuts are steadily eroding Australia’s vocational education and training sector, according to VET sector veteran and now academic Peter Noonan. Noonan told the TDA national conference that VET students, many from poor backgrounds, are at risk of having a “hoax” perpetrated on them as government training subsidies are progressively cut and they are forced to pay rising fees while funding for schools and universities has soared. Underscoring the scale of the under-investment in VET, Noonan said between 2004 and last year total operating spending by all governments rose by about 15% to $6.8 billion a year, but that was dwarfed by a 23% rise in school spending to $40bn a year and a 40% rise in higher education spending to $23bn a year…..[ READ MORE ]…..
22 September 2014 | Dual sector Swinburne University is flagging a major restructure of its vocational training after falling short of revenue targets on the back of state government funding cuts and increasing competition from private providers. 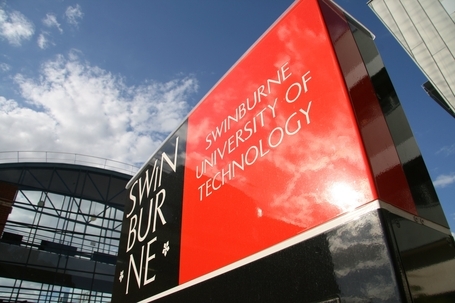 In a consultation paper issued to staff, Swinburne said revenue from vocational education and training had slumped from $123.5 million in 2012 to a now projected $70m this year. But it said its current organisational structure was predicated on the university generating at least $90m a year from VET, and alternative options now need to be considered. VET at Swinburne is currently spread over three separate centres, plus foundation provider Swinburne College and short course provider Industry Solutions. Their combined total revenue is just over the $80m a year, or similar to that generated by Swinburne’s smallest university faculty, the faculty of business and enterprise…..[ READ MORE ]…. 2 September 2014 | Victoria’s TAFE system is near collapse, according to the Labor opposition, after $1.2 billion in government cuts, the Victorian Training Market Half Year Report has revealed. It shows that TAFEs’ share of the training market dropped from 48% in the first half of 2010 to just 27% in the first half of 2014. Overall, government subsidised enrolments continued to decrease for the first half of 2014, with a 5% drop from the same time in 2013. TAFE enrolments in the first half have fallen 28% to 100,200 compared with 138,300 a year ago, while private providers have increased their enrolments by 20% to 214,300 from 180,000 a year ago. 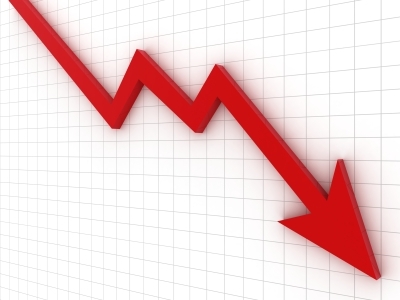 Labor spokesperson Steven Herbert said that if this trend were to continue under a future coalition government, TAFEs’ share would continue dropping to unsustainable levels, predicted to be as low as 8%. …. [ READ MORE ]…. 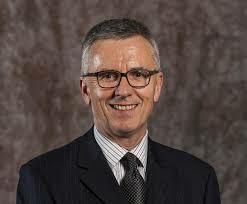 1 September 2014 | After just a year as managing director of NCVER, Rod Camm is moving on to become CEO of the Australian Council of Private Education and Training (ACPET), which became vacant following the sudden resignation of Claire Field in early July 2014. Camm has had a long career in the vocational education and training (VET) field. 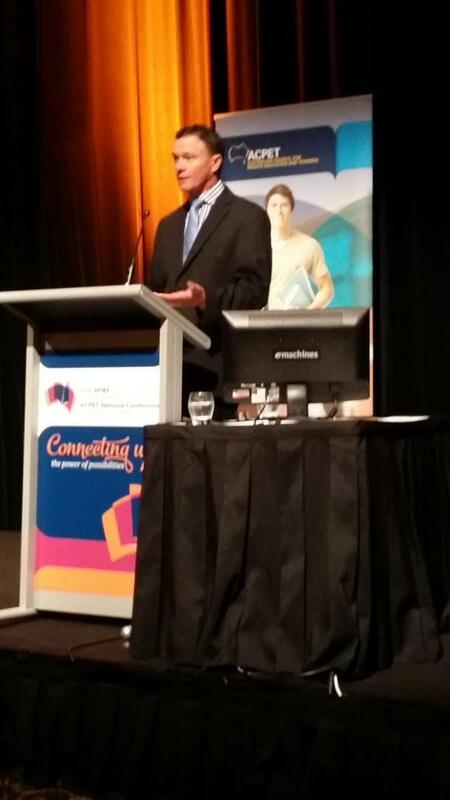 Prior to his appointment at NCVER he held the position of CEO of Skills Queensland. Before that he was Associate Director-General of the Queensland Department of Education and Training, and CEO of Construction Skills Queensland. He has performed numerous other executive roles across government and has sustained a strong relationship with industry…..[ READ MORE ]…. 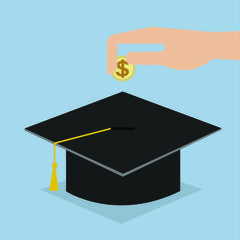 23 September 2014 | The University of Western Australia is the first university to reveal its student fee structure under the government’s fee deregulation plans, advising a Senate committee it would charge an annual fee of $16,000 – $48,000 for a three year degree – for the five basic undergraduate courses it offers. That’s an increase of 160% for a degree in humanities disciplines (based on the 2015 student contribution of $6152 pa – $18,456 over three years). And it does mean a price tag of around $100,000 for “professional degrees”, such as law, medicine, architecture and engineering. 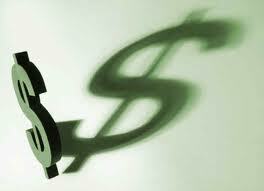 Medicine will likely break the $100,000 mark under the new price structure and law will be around $95,000. UWA says this is “commensurate’’ with its status as one of the leading universities in Australia and as one of the world’s top 100 universities. The new fees would take effect from 2016 provided Education Minister Christopher Pyne’s reform package passes the Senate, where it is facing heavy opposition from Labor, the Greens and Clive Palmer’s crossbenchers. UWA’s pricing will set a benchmark for other elite Group of Eight universities as they reformulate their fees……[ READ MORE ]…. 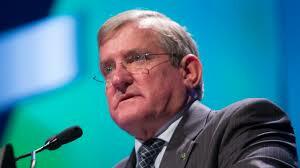 12 September 2014 | Industry minister Ian Macfarlane has announced sweeping deregulation of the vocational education and training (VET) sector with “high performing” VET providers delegated the authority to manage their own scope of registration and no longer needing the regulator’s permission to change courses or introduce new ones. 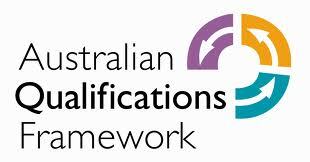 Under the proposed changes, registered training organisations (RTOs) can apply to the Australian Skills Standards Agency (ASQA) for a delegation to manage their scope allowing RTOs to “get on with what they do best — delivering the high calibre training that meets industry and economy needs”. Macfarlane told a national VET conference that “quality training speaks for itself” and that, in a highly competitive environment, the best way to ensure an RTO delivers high quality training is to “let it stand on its reputation – not fill out reams and reams of paperwork and jump through endless hoops.” ASQA’s regulatory role will focus on dealing with “rogue operators” and providing education and guidance to ensure “voluntary compliance” with VET standards by RTOs. ASQA will no longer transition to a full cost recovery model as had been planned and its fees will remain unchanged in 2014-15……[ READ MORE ]…. 24 July 2014 | Skills reform in Australia is an “absolute shemozzle” and is jeopardising a world-class vocational education and training system, says Jeff Gunningham, recently retired chief executive of TAFE South Australia. 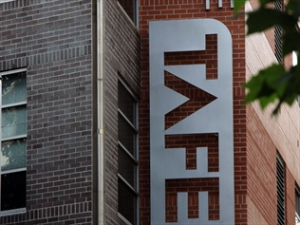 But the apparent troubles besetting TAFE are the invention of a “misinformed media”, according to the Victorian minister. Gunningham told the Victorian TAFE Association conference that bureaucratic bungling and an obsession with the bottom line is degrading training and threatening the existence of public TAFE institutes. He said TAFE is at risk in Australia, driven by a Council of Australian Governments policy on entitlement which is simply not working. “It’s a dog’s breakfast.”…..[ READ MORE ]…. The National Centre for Vocational Education Research (NCVER) has announced the appointment of Dr Craig Fowler as its new managing director, to succeed Rod Camm who is heading off to the Australian Council for Private Education. He will assume the post in late October. He possesses an exceptional depth of understanding of vocational education and training and the national training system, and a deep sense of the importance of skills acquisition to Australia’s future prosperity. Professor Shergold emphasized that Dr Fowler will bring to his leadership a strong background in research methodology and commitment to the value that statistical data can play in informing evidence-based policy. NCVER will continue to be led by Rod Camm until Dr Fowler commences his role, providing for a well-managed transition for the Company and staff. At a personal level, I am deeply disappointed to see Rod leave. 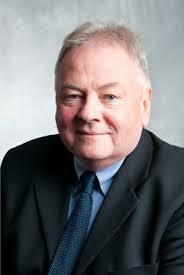 He has had a very positive impact in his time with NCVER. The Board will miss his strong leadership but fully understand the difficult decision he has had to make. 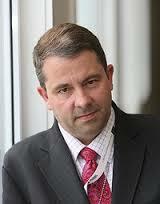 We look forward to working closely with him in his new role as CEO of ACPET. After just a year as managing director of NCVER, Rod Camm is moving on to become CEO of the Australian Council of Private Education and Training (ACPET), which became vacant following the sudden resignation of Claire Field in early July 2014. Camm has had a long career in the vocational education and training (VET) field. 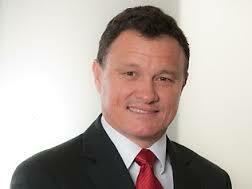 Prior to his appointment at NCVER he held the position of CEO of Skills Queensland. Before that he was Associate Director-General of the Queensland Department of Education and Training, and CEO of Construction Skills Queensland. He has performed numerous other executive roles across government and has sustained a strong relationship with industry. As well as being recognised for leading VET and industry policy and strategy, Camm has completed an Executive Masters in Public Administration and has considerable experience in industrial relations. Camm also called for greater uniformity between the states/territories on the funding of vocational education and training, saying that it is ” more fragemented than it ever was.” The lack of national uniformity makes it difficult for national companies which need a “national solution”. It has now been announced that Rod Camm the current Managing Director of NCVER has been recruited to the position of CEO of ACPET. For any of you who do not know Rod the press release announcing this appointment and outlining his background and achievements will be available on our website later today. The Board and staff at ACPET are very excited about the appointment and are looking forward to a very strong vision for the sector and its future development. Deregulate fees to help innovation? 22 August 2014 | The debate over deregulating university fees is now infecting innovation policy with the Australian Technology Network suggesting reform could forge closer collaborations between universities and industry. While key research drivers like the science and engineering sectors have expressed horror at the extent of funding cuts to their disciplines, the ATN argues in its submission to the Senate inquiry on improving innovation that “equitable” fee deregulation could help. ATN executive director Vicki Thomson told The Australian that fee deregulation could encourage more niche courses that have close connections to industry. It could also provide stronger market signals from students demanding such courses that offer close industry connections…. 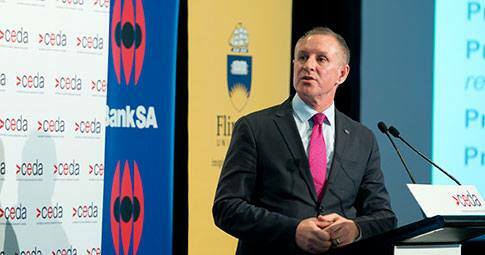 [ MORE ]…..
22 August 2014 | A call by SA Premier Jay Wetherill for Adelaide’s three universities to consider a full or partial amalgamation has been rebuffed. Nevertheless, a proposal from the three universities proposing the creation of a joint research commercialisation company is expected to be sent to the premier shortly…..[ MORE ]…..
20 August 2014 | Commonwealth industry minister Ian Macfarlane has announced the appointment of a five-member Vocational Education and Training Advisory Board, charged in particular with ensuring that will provide feedback to the Government as it continues reforms to the sector. John Hart, the chair of the panel heads Restaurant and Catering Australia, whose RTO was initially refused re-registration last year. 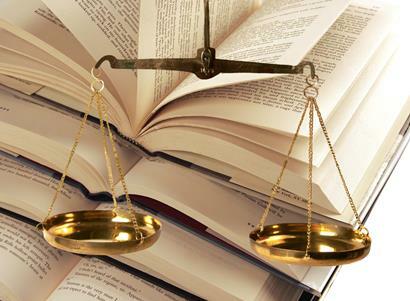 That decision was reversed nine months later after the training company Restaurant and Catering NSW came to an agreement following an appeals process with the national regulator in the Administrative Appeals Tribunal. Macfarlane said the Australian Government is focussed on” ensuring industry has a stronger voice in the VET system”, so that it “is efficient and effective in delivering the job-ready workers that industry needs”…..[ MORE ]…..
20 August 2014 | Christopher Pyne is barnstorming the nation making the case for his higher education reform package, and continues to question that fee deregulation will likely lead to overall big fee hikes. Never mind fee deregulation: University of Melbourne vice-chancellor Glyn Davis (not a person given to hyperbole) has pointed out that the 20% cut in public funding to universities will alone require at least a 30% fee increase. Pyne also makes much of the generosity of the the proposed new Commonwealth scholarship scheme – but no one seems to pick him up on the fact that it will be funded by students themselves (20% of increased revenue from fees would go to scholarships) which is actually a tax on students and scholarship. 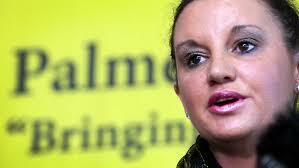 Meanwhile Palmer United Party senator Jacqui Lambi made clear in an interview on ABC’s AM program her continuing opposition to the proposed reforms……[ MORE ]…..
17 August 2014 | Labor and the Greens will be shown as” hypocrites” if they throw low-income students undertaking higher education at vocational colleges ”into the dustbin” by denying them government support, according to TAFE Directors Australia (TDA). TDA chief Martin Riordan says it would be a ”tragedy” if the Senate blocks the expansion of Commonwealth subsidies to students in sub-bachelor degrees – a budget measure experts say will bring fees down and reduce university drop-out rates. But the proposal is seemingly at risk following a rancorous debate about increased university fees and the declared opposition to fee deregulation of Labor, the Greens and most of the cross bench , including the Palmer United Party. This would probably doom the reform package in the Senate, including the extension of Commonwealth subsidies to non-university higher education programs……[ MORE ]…..
15 August 2014 | The collapse in apprentice and trainee commencements has continued, according to early estimates from the National Centre for Vocational Education Research (NCVER). Seasonally adjusted trade commencements fell 1,200 to 21,700 in the June quarter, representing three consecutive quarters of decline since the September quarter 2013. Seasonally adjusted non-trade commencements fell 2,300 to 28,800 in the June quarter, representing four quarters of decline and the lowest in at least ten years…..[ MORE ]…..
15 August 2014 | Four Australian Universities have been placed in the top 100 of the 2014 Academic Ranking of World Universities (the Shanghai Jiao Tong rankings). Melbourne University has cracked the top 50 coming in at 44, up 10 places from last year. ANU was placed at 74 (66 in 2013) , University of Queensland 85 (85), University of Western Australia 88 (91). Sydney, ranked 97 last year, dropped out of the top 100. Nineteen Australian universities were placed in the top 500. Melbourne vice-chancellor Glyn Davis says that for any Australian universities to be achieving top 100 status is a significant achievement and to have four in the top 100 “is a very important achievement and a testament to the overall quality of the Australian higher education system”. Nevertheless, the overall rankings indicate that other nations, like China, are producing institutions that are surging ahead as Australia stands still…..[ MORE ]…..
12 August 2014 | The Labor Party has confirmed its opposition to the ¬Abbott government’s proposed university funding cuts and fee deregulation, launching a campaign with the National Union of Students (NUS) to ramp up protests against the plan. Opposition leader Bill Shorten visited the University of Melbourne on 11 August to step up Labor’s campaign against the higher education changes. 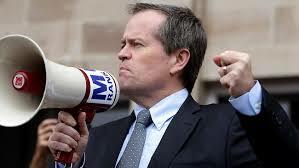 Shorten said universities must be “accessible to all” and called for rallies on campuses across the country “to send a very clear message to the Abbott government and to the Senate: hands off our education system”. He said the decision to cut funding, deregulate fees and increase interest rates on student loans represented “a trifecta of shame which will destroy the dreams of ordinary Australians to send their kids to university”…..[ MORE ]…..
12 August 2014 | The Queensland government has drastically slashed the range of vocational qualifications it supports, removing more than 200 mostly high-level courses from its subsidised list. Some 170 of the state’s certificate IV, diploma and advanced ¬diploma courses no longer attract teaching subsidies, in areas from the arts, retail and business to health, community services and public safety. The government has also removed funding for more than 30 lower-level qualifications, from pest management and conservation earthworks to shearing, firefighting and concreting. The deleted list includes about 20 courses that train people for Queensland’s four economic “pillars” of tourism, agriculture, construction and resources, which the government is entrusting to lead the state to a new period of economic prosperity. The changes mean that about two-thirds of TAFE Queensland’s 800-odd programs no longer ¬attract government subsidies, although some of these courses have been superseded…..[ MORE ]….. Politics 101: why Pyne has failed to sell his education ‘reforms’…? Jamie Miller writes in The Conversation that “the long sorry saga” of Christopher Pyne’s handling of the government’s proposed higher education reforms “serves as an ideal case study of how not to go about building support for a controversial reform program”. It also demonstrates a dispiriting tendency on the part of this government to resort, not so much to “spin“, but to out and out deception (that’s our takeout, not Miller’s). And with that, Clive Palmer indicated that the populist Palmer United Party (PUP) would not support the federal government’s proposed deregulation of the tertiary education system. At least in its short life-span, the PUP has shown itself to be thoroughly consistent in its inconsistency. A backflip isn’t impossible. Nevertheless, while I’ve written elsewhere about the merits of education minister Christopher Pyne’s changes to higher education, we need to talk about the politics too. For the long, sorry saga serves as an ideal case study of how not to go about building support for a controversial reform program. While some contentious budget savings measures that require separate legislation are still in play in the Senate, such as university fee deregulation, the passage of the appropriation bills in late June means that the great bulk of savings measures are already in place. This includes cuts of at least $420 million to science and research funding. 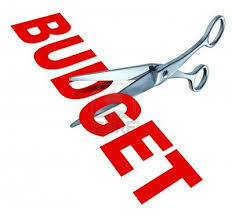 These cuts are already seeing research being cutback or ceased altogether. 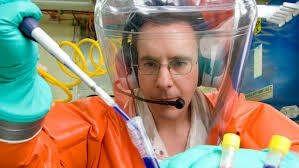 According to the CSIRO Staff Association, the cuts to CSIRO’s budgets will mean the curtailment of research programs into virology and infectious diseases – including Ebola virus. Research into bowel or colorectal cancer – the second largest cause of cancer deaths in Australia – will cease completely. CSIRO work in the neurosciences – including critical research into Alzheimer’s, dementia and other diseases set to beset the growing numbers of Australia’s ageing population – will be shut down entirely. In delivering the Jack Beale Lecture on the Global Environment, Australia’s chief scientist Ian Chubb has lamented the lack of a national science strategy at a time when comparable nations are investing in a strategic science and technology pipeline that starts with education and ends with high end research. This is at a time when the Australian government is actually cutting back investment in key areas of research. Australia is now the only OECD country that does not have a contemporary national science and technology, or innovation strategy. For the first time since 1931, Australia does not have a science minister. He says that a complacent attitude of “presuming that she’ll be right because it most often has been is no longer an option – surely.” It’s not so much a case of Australia will be left behind: we are being left behind in the science that underpins the security of our national future. Science, Chubb points out, is a long haul: “it is not something that can be turned on or off when we feel like it”. Chubb released a position paper more than a year ago outlining the case for a national strategy for science, technology, engineering and mathematics. He’s now in the final stages of preparing a national strategy for government to consider. The Group of Eight has recently published this useful “Backgrounder” on research funding in Australia. 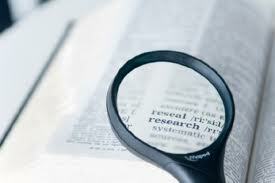 In 2011-12 about $31.6 billion was spent on research in Australia by Government research organisations, universities, business and private non-profit organisations of which 28% was performed in the higher education sector. Australian universities reported $3.4 billion in research income in 2012 from Commonwealth grants and contracts, other government grants and contracts, industry grants and contracts, private non-profit grants and contracts, international grants and contracts and donations and Bequests. 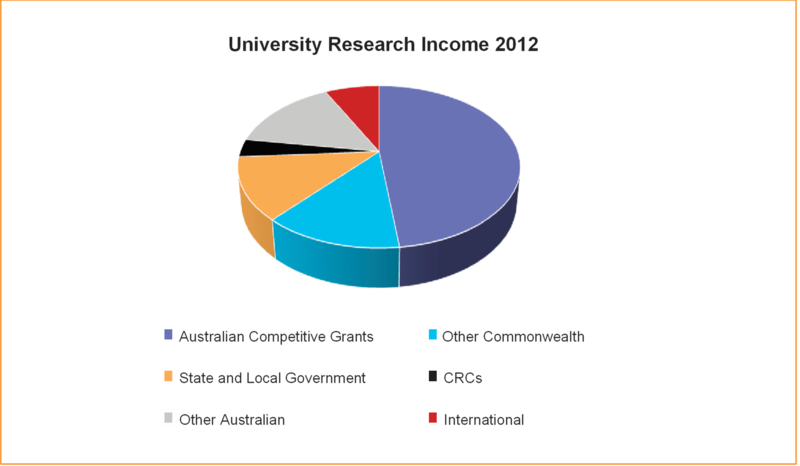 In 2012 48% of research income reported came from Australian Competitive Grants. 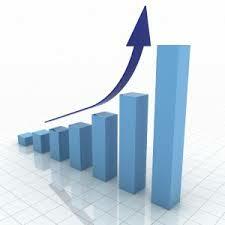 Crowdfunding has recently became a popular method of funding new tech or entertainment products or artistic projects. It allows people to ask for many small donations from individuals who support the proposed work, rather than a large amount from a single source. Now researchers are turning to crowdfunding, too. Academic researchers are one of the few types professionals who have to spend a large amount of time throughout their entire career cajoling for money just to keep their job. It’s hard to get grants. It’s a lot of work to apply for them, and many are not awarded. 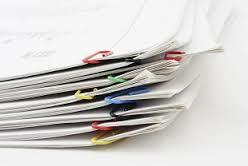 Apparently, of the roughly 10,000 research ideas submitted to government research funding schemes, such as those run by the National Health and Medical Research Council and the Australian Research Council, only about 20% are funded. Researchers who don’t get the funding they apply for may have to switch projects, or even close down their project. Even when there is money to keep the lab afloat, money is tight, and many side projects fall by the wayside. Crowd funding through websites such as Pozible and Thinkable is proving an alternative source of funding for smaller research projects. It has long been known that happiness depends on many different life circumstances. Now scientists have developed a mathematical equation that can predict momentary delight. They found that participants were happiest when they performed better than expected during a risk-reward task. Brain scans also revealed that happiness scores correlated with areas known to be important for well-being. The team says the equation, published in PNAS Journal, could be used to look at mood disorders and happiness on a mass scale. It could also help the UK government analyse statistics on well-being, which they have collected since 2010. “The brain is trying to figure out what you should be doing in the world to get rewards, so all the decisions, expectations and the outcomes are information it’s using to make sure you make good decisions in the future. All of the recent expectations and rewards combine to determine your current state of happiness. Meanwhile, The Conversation reports that survey data shows there’s a surprisingly weak relationship between money and happiness. 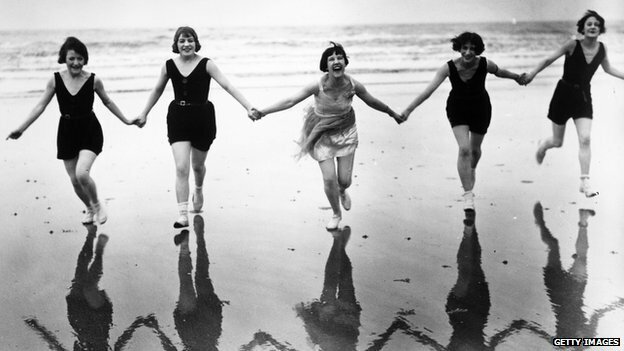 As national incomes rise, happiness does not increase. Consider this: happiness in the United States has been stable for the past 50 years, although at the same time living standards have doubled. The same holds true for the United Kingdom and Japan. Money does make a difference to happiness in poorer countries though. If you don’t have enough for some degree of reasonable comfort, you can expect to be pretty stressed and unhappy. The position of Executive Director, Australian Technology Network presents a unique opportunity for a highly motivated individual who wants to make a significant contribution to policy direction in the higher education sector, has superior public advocacy and media communication skills and a proven ability to engage with industry and the professions to achieve mutually benefi cial outcomes. The ATN brings together fi ve of the most innovative and enterprising universities in Australia and the Executive Director, as CEO, plays a critical role in the positioning and collaborative ventures of the partner universities both domestically and internationally. The appointee may be based in any of the capital cities, however will be expected to spend signifi cant time in the national capital. For more information, visit: www.atn.edu.au/ATN_ED_Position_Details . Applications close on 8 September 2014. Commonwealth industry minister Ian Macfarlane has announced the appointment of a five-member Vocational Education and Training Advisory Board, charged in particular with ensuring that will provide feedback to the Government as it continues reforms to the sector. The chair of the panel heads Restaurant and Catering Australia, whose RTO was initially refused re-registration last year. Macfarlane said the Australian Government is focussed on” ensuring industry has a stronger voice in the VET system”, so that it “is efficient and effective in delivering the job-ready workers that industry needs”. The sub-text of that is that industry doesn’t have a strong influence in VET and that it is not efficient and effective in delivering job- ready workers (see Paralysis by analysis). Jodie Hughson– Manager for Quality, Learning and Workplace Development for Anglicare, Southern Queensland. The Australian now reports that a Registered Training Organisation (RTO) run by Restaurant and Catering Australia was refused re-registration last year. That decision was reversed nine months later after the training company Restaurant and Catering NSW came to an agreement following an appeals process with the national regulator in the Administrative Appeals Tribunal. 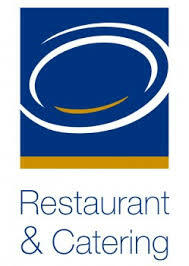 Hart dismissed suggestions that Restaurant and Catering NSW had been refused registration. The obvious question is, if there was no rejection, why did it end up in the AAT, which reviews “administrative decisions”? A spokesman for ASQA said it is quite common for training organisations to use time bought by the appeals process to become compliant, but did not say whether this was the case with Restaurant and Catering Australia’s RTO. Hart is also chairman of the North Sydney Forum, a controversial fund-raising body attached to the Liberal Party federal electoral conference in Joe Hockey’s seat of North Sydney and has been called to give evidence to the NSW Independent Commission Against Corruption inquiry into alleged illegal political donations. .